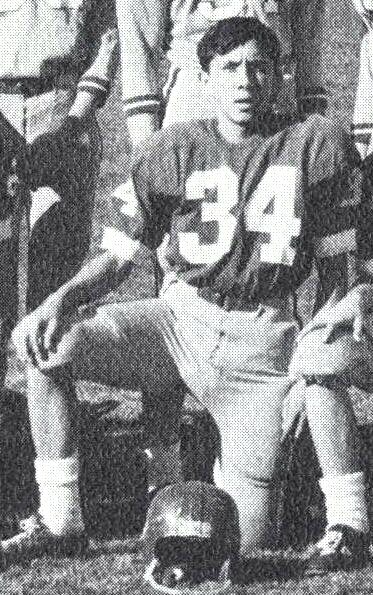 Mickey Ibarra was a popular student leader, and athlete at BY High during the 1960s. He was also on the newspaper staff and yearbook staff. But before graduation, as the following story explains, Mickey moved to California with his brother, David, where they attended Luther Burbank High School in Sacramento. There Mickey was elected Senior Class President in the same year that his brother was elected President of the Junior Class. Mickey is married to Frances and they have a 25-year-old daughter. Mickey Ibarra is now an influential figure in Washington D.C. political circles, and his brother David is a successful businessman in Utah. It is always difficult to pinpoint where a story begins. How far back does one look to find the origin of fate, when one crucial event changes lives and determines the paths that a family follows? For brothers David and Mickey Ibarra (pronounced Eee-Baura), their story could have begun a century ago in an Oaxacan village of Zapotec, populated by Mexican-Indians. It could start with the tale of their father, Francisco Ibarra, who traveled across the border and headed north to Salt Lake City, Utah, where back-breaking labor as a migrant farm worker was the first step toward fulfilling the American Dream. Or, perhaps it was a more recent turning point, when Bonnie Bird, the 17-year-old mother of two small sons made the choice to place them in what she regarded as the more capable hands of foster parents. When the close-knit Ibarra Brothers reflect on the past, they give credit to dozens of people and events for helping them move along their very different paths of success. David, 45, after numerous ventures in the restaurant business, now finds himself in a senior management position at Henry Day Ford on Redwood Road in Salt Lake City, with a plan in his back pocket that could revolutionize the way Americans look at buying and selling cars. And Mickey, 46, who on June 6 joined the staff at the Clinton White House as the new director of intergovernmental relations and as an assistant to the president, previously paid his dues for 13 years as manager of international relations for the National Education Association. This story of two, poor Hispanic boys growing up in the mostly white, mostly Mormon Utah of the 1950s and making it, is not only about overcoming racial prejudice and economic barriers, but of knowing where you come from and pushing the limits of where you can go. And not only is it a story with an unclear beginning, but it remains to be seen where it will go; the Ibarras aren’t finished yet. From his father, Francisco, David Ibarra recalls that he received hope. “I can remember the lectures,” he says. “He would put me on one knee and my brother on the other knee and talk to us about achieving success. He would hold out his hand and say that any success we were going to have was in our own hands and if we succeeded, we would have to thank many people. But if we failed, we were only going to have ourselves to blame.” From a 1990s perspective of cynicism and confusion about national and personal priorities, the words might register as only platitudes. But in the recollections of David Ibarra, they roll off his tongue as something precious and profound. While living in Salt Lake, Francisco met Bonnie Bird, a young, sandy-haired Caucasian woman from Salina, a farming and shepherding community in central Utah. Directly against the grain of extreme intolerance toward interracial romance and marriage (not yet eradicated from present-day Utah), they were married and began a family. Soon after, Francisco was drafted, sent overseas and left Bonnie to raise two boys alone. They divorced. Bonnie placed the boys in a home where she had lived, in the care of the same foster parents who had helped raise her—Cecil and Ila Smith of Provo, Utah. David says he and Mickey were told she wanted to give them a better beginning, a home life with two parents and family values. “She had enough common sense and maturity to go against the grain. She did the right thing,” he says. After Bonnie left the boys in the care of the Smiths, they stayed for about a year and then were sent by the state to live with a Hispanic family, Joe and Sally Gomez, in downtown Midvale, in a small, rickety house near the railroad tracks. After four years, Francisco had remarried and wanted custody; the boys were uprooted once again. For one more year, they had temporary stability, then their father’s marriage went sour. This is when, David believes, destiny stepped in. Hard work, honesty, responsibility, sensitivity and respect are the values Mickey says he and David inherited from Ila and Cecil Smith. In the Provo home of the Mormon couple, living with up to six other kids at times, life was very different for two young Latinos. Although Mickey quickly assimilated into the community, it wasn’t as easy for David. 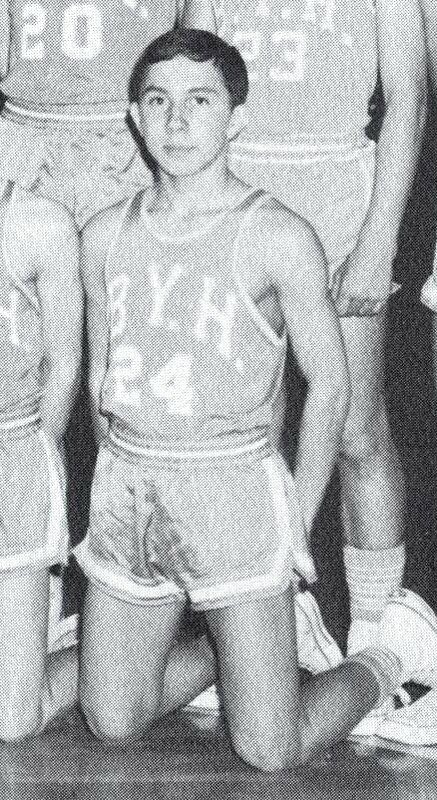 Mickey was very well liked, played football at Brigham Young High School. But not even the love of the Smiths nor the protection and support of an older brother was enough to keep David in Provo. “There was trouble and more trouble,” David said. He decided, at age 14, he had to leave. “Finally, I told Ila and Cecil I had to leave or I was going to die here.” The Smiths called and arranged for David to catch a bus to Sacramento, where Francisco had a thriving business in the Mona Lisa House of Beauty. During their teen years in a more diverse and tolerant Sacramento — where their dad’s beauty business success smiled on them — the leadership skills Mickey later exemplified in his professional life began to emerge. David described him as “head of the family,” even comforting Francisco when relationships with women didn’t work out. “Mick was the most mature. When I got in trouble in school, he was the one who dished out the punishment,” David recalls. And, as his natural talent for teaching became evident later in life, Mickey showed guidance early, pushing David to get involved in school. 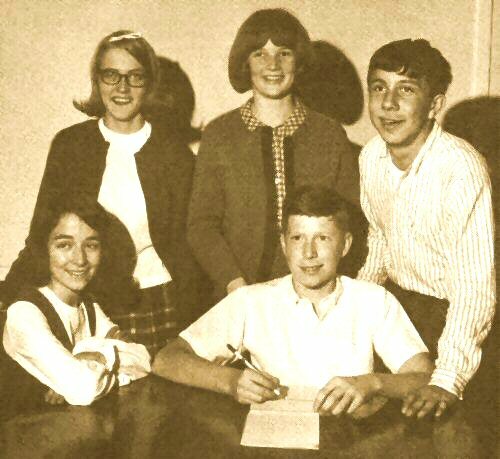 When Mickey was a senior class president of Luther Burbank High School, David was the president of the junior class. Thirty years later, life is much different for the Ibarra brothers. In contrast to their younger selves, scrambling for roots and stability, they are pillars in the local and national Hispanic communities. 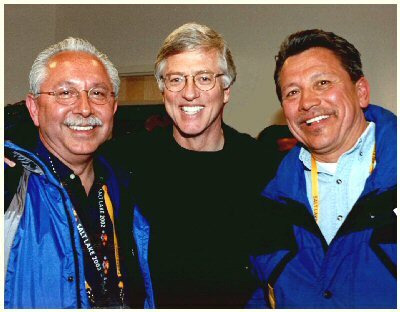 In both 1995 and 1996, Mickey was chosen by Hispanic Business Magazine as one of “The 100 Most Influential Hispanics in the US.” David has moved from the shack by the tracks into a sprawling, spacious home in South Jordan, swimming pool included. Both brothers speak of nothing but the future, of the success and accomplishments to come, for them and anyone else ready to try. David seeks to make everybody understand that it doesn’t matter when you start to want to succeed. The important thing is choosing to start. But what is the real source of such hope and perseverance? It is true that David and Mickey’s father was a living, embodiment of the American work ethic with a determination to triumph. And yes, the boys picked up core values from living with foster parents Ila and Cecil Smith. But some folks look at the Ibarra brothers’ saga and see only a deprived childhood, a sad story, with an inexplicable happy ending. Individuals aren’t supposed to be confident and enthusiastic under the circumstances of a stressful upbringing, since studies show former foster children live difficult lives burdened by mental illness, alcoholism, depression, jail convictions and financial troubles. In 1995, the New York State Council on Children and Families reported half of all surveyed homeless youth were raised in foster care. Disadvantaged? Mickey never viewed it that way. When both boys followed their own paths back to Utah, life got sweeter. Mickey served three years in the army and went to Brigham Young University — on the G.I. Bill, just like his father. He earned a bachelor’s degree in political science with an emphasis on behavioral disorders (which, he jokes, has helped him survive in D.C.). He had a winning career in education, starting an alternative high school for troubled kids in Utah County and specializing in teaching emotionally handicapped kids at Hillcrest High School in Salt Lake City. Mickey became active in the Utah Education Association, where he realized the power of elected and appointed officials. On President Clinton’s behalf, he has done a lot of “fitting in.” He’s worked for personal access to the National Governors Association, the National Conference of State Legislature, the U.S. Conference of Mayors, the National Association of Counties and the Education Commission of the States. After conquering the hot-headedness of his youth, and moving back to Utah, brother David has steadily climbed from financial insecurity to business success in the private sector. After working for six years for the Marriott Corporation’s restaurant division, he bought Farrelli’s Ice Cream Parlor in Fashion Place Mall in Murray, and opened The Meeting Place Pub/Café, where he became the first restaurateur in Utah to acquire a class “C” beer license for use in a shopping center. These successes led him to open two additional restaurants at Fashion Place — Thatsa Pizza Poncho and El Numero Uno. Once the “food court” movement began and mall management wanted all food outlets to “convert,” David decided his “train wasn’t traveling on the right track.” He refused to homogenize his businesses, closed them all, “took a financial bath” and started over. A former regular customer at The Meeting Place (the owner of Gordon Wilson Chevrolet, now owned by Larry Miller) suggested he look into the automobile industry. David developed a plan to get a feel for the business by working as a salesperson for three different car dealerships. He was an immediate success, making top sales and achieving the junior management role at Henry Day Ford. He began to see the future of the industry and the opportunities for change, paralleled by a promising future for himself as well. He saw the need for a sales and management revolution, and after selling his ideas to owner Michael Day, was made senior manager, where he’s been for the last eight years. While some may conclude the brothers have it all, the ardent push to the next level doesn’t end. Both Ibarras, ebullient and likable, speak with an altruistic passion about not only their own — and each other’s futures — but about the need to improve our collective American future. David donates time to speak to children, youth and professional groups about opportunity and hope. The traditions of ancient ancestors, such as “Guelaguetza,” and the collectivist practices of Zapotec village members who reached out to neighbors with a need, may well have flowed through the veins of Francisco Ibarra to be renewed in his sons. Whether it is roots or experience that fuels the Ibarra fire, the brothers are not merely talking the talk — they’re walking the walk. Those inspirational messages that we now hear only on infomercials and at motivational seminars, actually meant something to Mickey and David. They seized them as remnants of the American Dream and wove their own individual tapestries. If Mickey has become a politician and David a peddler, they’re redefining the words to exclude the cynicism and reclaim their original dignity. Mickey is often struck by the increasing relevance of the Ibarras’ developing life story. He has his own formula for success (an equal dose of persistence and patience) and his own definition of luck (“where preparation meets opportunity.” While he fervently believes America to be the greatest country in the world, he tempers his enthusiasm with reality. David, who is also president and owner of Executing the Numbers, Inc., a management consulting firm for the automobile industry, talks of re-inventing new concepts of self, workplace and family. But first things first — he wants to take on the American automobile industry. The plan he’s been developing for the past eight years will merge his experience in the hospitality business with his years at Henry Day Ford. The new management plan is not only aimed at revolutionizing how cars are sold, but how we buy them. “Executing the Numbers" is all about “helping people get what they want,” a win/win situation that “creates the real success in America,” so that car salespeople, their co-workers and their clients are treated with the respect of family members. “I have very high hopes for this consulting company, which I am extremely passionate about,” David says. “It gives me the opportunity to do the things I love to do — help people achieve the best that they can be.” Yes, okay, it sounds like the U.S. Army recruiting commercial, but in David’s mouth it doesn’t sound phony. Family — wife Merilee, sons Cassidy and Nicholas, and brother Mickey — is the only thing that can take him away. It’s too early to tell what Mickey, self-described as a fierce Clinton loyalist, will bring to the White House. His job is to act as a liaison between the President and 280,000 locally-elected officials of the nation, selling Clinton’s priority policies while listening to those officials and ensuring they get heard. Two top goals of Clinton’s second term — improving education and striving for racial harmony — seem within striking distance with Mickey Ibarra on his team. He is proud to represent the Latino community, working with the first administration to have two presidential assistants of Hispanic background — Maria Echaveste is the second. Mickey is realist enough to note that although the national economy is presently unusually solid, Hispanics remain the only minority not appreciably affected by the prosperity. He says Hispanic values and traditions of hard work may be being misapplied; the high school dropout rate among Hispanic teens is 50 percent. Mickey Ibarra hopes he has a national power base long enough to address some of those problems. David’s and Mickey’s foster parents, Ila and Cecil Smith, are now dead. The brothers often visit their graves. Their birth mother, Bonnie Bird Siciliano, is still alive and they have maintained contact with her. Their wish for her since their teens is that she may find some measure of redemptive peace. ...and baseball at BY High. 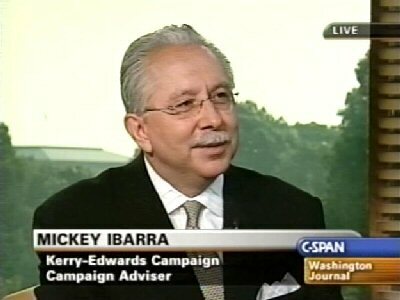 Mickey Ibarra served as assistant to former President Bill Clinton and was the director of the Office of Intergovernmental Affairs. In March 2012, he donated his collection of photographs, correspondence and other memorabilia documenting his career at the White House to the University of Utah Marriott Library. He also recently gave a speech at the Hinckley Institute of Politics on his journey from schoolteacher to public servant, the importance of being involved politics, and the issue of immigration. He was born in Salt Lake City to a Mexican father and American mother, but grew up in foster care. Before beginning his career in politics, he taught at-risk high school students in Spanish Fork, Utah. Q: How does a high school teacher end up working at the White House? A: My road to the White House was paved by the National Education Association, the teachers union I had the privilege of working for for 16 years of my professional career. 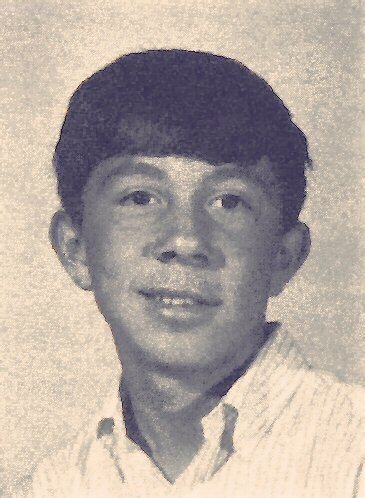 But actually it started sooner than that: The person who sparked my interest in government, public service, campaigning, elections and our great democracy and the need for engagement was my high school government teacher, Mr. Steinberg. 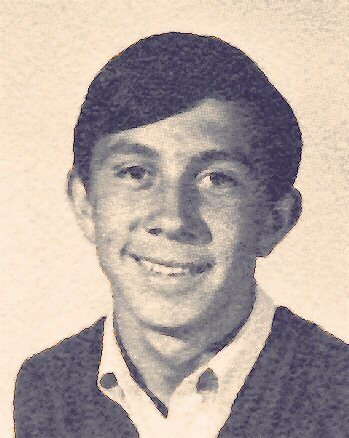 I had the privilege of attending high school in Sacramento, the capital of California, so government and politics were certainly available to students who wanted to engage. Mr. Steinberg would provide extra credit for attending a city-council meeting, a school-board meeting. It was Mr. Steinberg who gave me extra credit for attending my first presidential campaign rally and major speech; it was delivered by Hubert Humphrey in 1968 at the Sacramento Memorial Auditorium. And as I heard him speak, I can tell you it sent tingles from my toes to the top of my head. And it was that interest established in high school that propelled me to decide that I was going to figure out a way to engage in public service. And it also provided the seed for wanting to first do that as a teacher. So I was a political-science major at BYU with no intention ever of attending law school. I wanted to be a teacher. And I had an opportunity to do that for five years starting as a teacher at a public alternative high school. That teaching experience led to my political experience with the Utah Education Association. I was a first-year teacher and attended my first national convention of the NEA as a delegate with the UEA. When I walked in that auditorium in Minneapolis and saw 15,000 of my colleagues in convention, many of them of color, it got my attention. This is the organization that I want to be a part of. I went from a volunteer to a staff member becoming their political manager, which put me responsible for leading the charge of the NEA to endorse Bill Clinton in 1992 for president. Then I served in the staff of the Clinton/Gore re-election campaign in 1996, posted up at the headquarters in Washington, D.C.
Then with our re-election, the first Democrat to be re-elected president since Franklin Roosevelt, I was invited to serve at the White House as the assistant for Intergovernmental Affairs. I prepared myself for that opportunity. Did I ever believe that an opportunity to serve the president would come my way? No. And is anybody ever fully prepared to be at the White House? I don’t think so. But I was prepared to be asked, and I got that chance, and here we went. Q: Why does the United States need immigration reform? A: The issue of immigration is personal to me. It is more than a debate around public policy; it is personal, given my history. My father came to this country as a bracero in 1945, and his first labor camp was in Spanish Fork. My father was undocumented for 30-plus years, even though he served in the U.S. Army, and had his own business. You don’t need to be documented to make a contribution. And everyone should be documented. But what we’ve got is a system that’s absolutely broken. It actually encourages people to come here without documents, because they’re not going to wait in line for five years to get a visa to come work here if their families are in need of help now. Who would do that? So, yes, that’s an issue that remains a priority for me, and I’m very troubled and concerned about what I see happening — states, including Utah, taking off on their own to decide what immigration law is going to look like. The most extreme case in Alabama, where they’ve turned teachers into immigration agents who can turn children in and their families in if they suspect that they may be undocumented. They have given license to racists in this country who now are emboldened to do the unthinkable. A nation trying to turn back the clock to the Jim Crow days of the ’60s and ’50s and earlier that I thought we had addressed. That’s very unfortunate and not up to the standards that America ought to be all about. Q: What misconceptions do people have about immigration reform and immigrants? (1) "They’re taking away our jobs." That’s just nonsense. They’re not taking away anybody’s jobs. Ninety percent of them are doing jobs that none of us would do. Talk to the farmers about how important these workers are to them helping them harvest their crops — to make a profit, to stay in business. So that’s one of the misconceptions. The United States needs that labor; they need that workforce. And without it, they’d be in very difficult circumstances. (2) "They’re just here to freeload; they’re taking down benefits from us." Again, silly. I would say, as a class, there are no harder-working people in the world than the Latino community in this country. They’re not here to freeload, they’re not here to get something for nothing; they’re here to make a living. And are there exceptions to that? Of course there are. But I feel confident in saying that the vast majority of those residents in this country, who are without documentation, would love to figure out how to become documented. And the vast majority of them are also being taxed, and paying their taxes. If we’d come to our senses and document these folks, we’d even realize more taxes from them, and that would be a good thing. (3) "We have a right to protect our border." That’s a responsibility that we have. And that’s what argues for comprehensive immigration reform so we can secure our borders. We’re not going to secure our borders simply by building a taller fence. That’s not going to work. It’s got to be a combination of things, and my hope is that I’ll live long enough to see our country embrace a comprehensive approach in order to deal with this issue. It was Ronald Reagan who was the last president to try and deal with this in a responsible manner, which included providing more than 3 million undocumented residents with amnesty. So if Ronald Reagan can get it done, I’ve got to believe that we ought to keep hope alive for that, too. Q: What would successful immigration reform look like? A: In its broadest context: One, we’ve got to provide for security, to be sure. Two, we’ve got to figure out a sensible visa program that allows for demand to match the supply. Something that’s reasonable. Asking somebody to wait in line for five years so they can come here and work as a dishwasher is nuts. So we’ve got to figure that out, that whole ebb and flow of the workforce — that’s a big piece of it. [Also] how do we deal with at least 11 million undocumented residents now? Do we really think we’re going to ship that 11 million back to the country they came from? I don’t think so; it’s just ridiculous. We’re not going to do that, it’s not possible to do that, and it’s stupid to do that. Should there be a penalty [for being undocumented]? Absolutely. Should there be requirement for them to learn English? That’s fine. Should they be responsible for paying their taxes and all that sort of thing? Absolutely. Should they have to show proof of employment for five, six years, whatever it is, yes. But those criteria can be set, and where they’re met, there ought to be a path to being made legal residents of this country. It may not be possible to adopt comprehensive immigration reform; I do think it’s possible for us to make incremental progress. For me, step one is addressing the Dream Act: the idea of providing a pathway, an opportunity, for youngsters who were brought to this country by their parents and no responsibility whatsoever for being here without legal status, and have done the right thing and graduated from high school, ought to be provided the opportunity to continue their education here. And if they graduate and stay out of trouble, be provided a pathway for citizenship — that ought to be an easy one. So I’m all for taking a look at taking a bite of the apple rather than trying to swallow the whole thing. It seems to be the Dream Act is where we ought to start. Q: Why is it important to be involved in politics? A: When people disengage from their civic responsibilities, when they check out, others check in. And unfortunately that seems to be too often the extremes of both ends of the political spectrum. And that’s not good. What we need to do is have every citizen of this country embrace the responsibility that they have to engage. This is a democracy. Democracy requires participation. It’s very important to ensure that we engage, that we register, that we vote, that we support candidates who reflect our views and that we hold them accountable for doing the right thing for us, rather than simply reflecting the views of, in many cases, an extreme minority. Some suggest that we get the government that we deserve; I think we deserve better. And to get better, we’re going to have to do more engagement. Q: What’s your favorite part of being involved in politics? A: Helping people; putting people first. That was the theme in 1992 of Bill Clinton: putting people first again. And that’s really what makes politics and public service one of the most noble endeavors of all. When it’s understood that your core responsibility is helping people accomplish all they can with their God-given talents, helping them overcome the obstacles to success, helping someone has a great reward that I enjoyed at the White House. I was in a position, and I realized that — that very few people get an opportunity to do — to help someone.